Hur-rah! 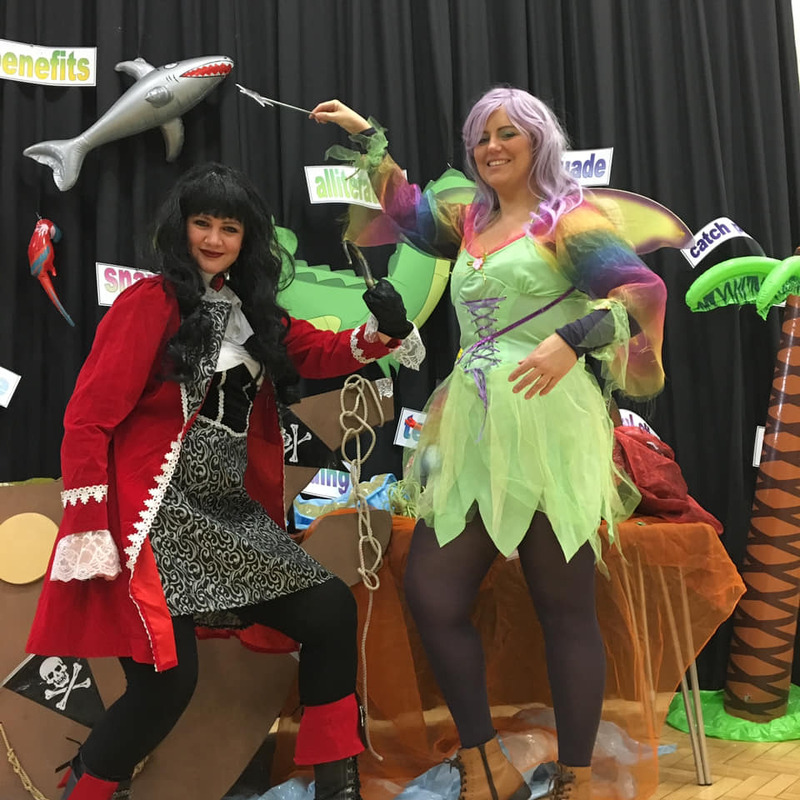 Our Peter Pan and the Pirates Key Skills morning was jammed packed with swashbuckling English and Maths. 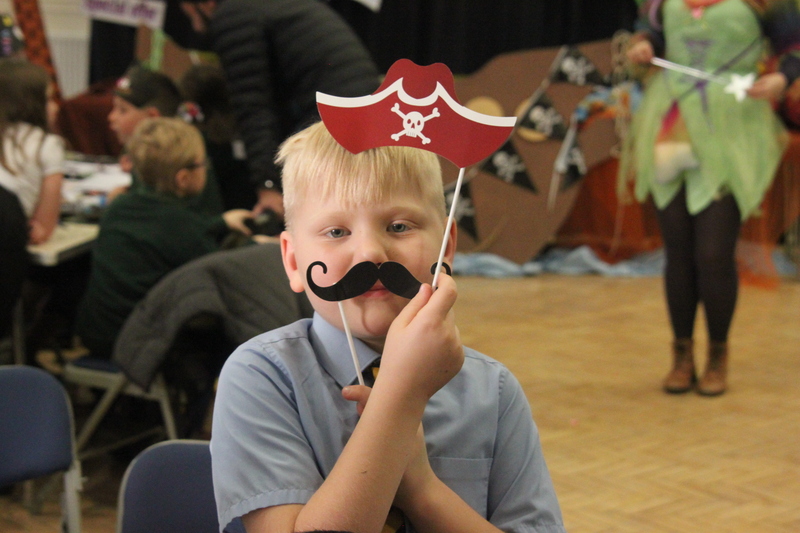 60 children from 10 local primary schools started the morning by making eye-patches and pirate hats ready to board our very own Captain Hook’s Jolly Roger around NGHS Neverland. Burrowed beneath feathers, glitter and mountains of tissue paper, everyone was ready to begin the first round of Maths. Each school worked with their visiting staff member and some of our Year 12 Further Maths students to complete Peter Pan’s Big Maths Quiz. 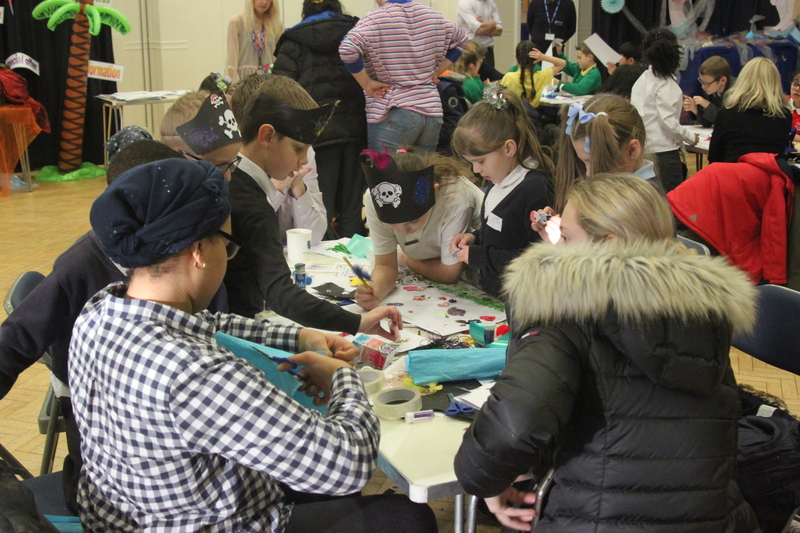 Teams were encouraged to complete questions on shapes, algebra and mixed calculations at their own pace; less emphasis on competing and more emphasis on effective learning. For the second activity, children practised applying persuasive language to visuals by designing their own advertisements for Neverland. Inspired by case studies for various international locations and words displayed in the room, each school created their own posters which were taken back to school. 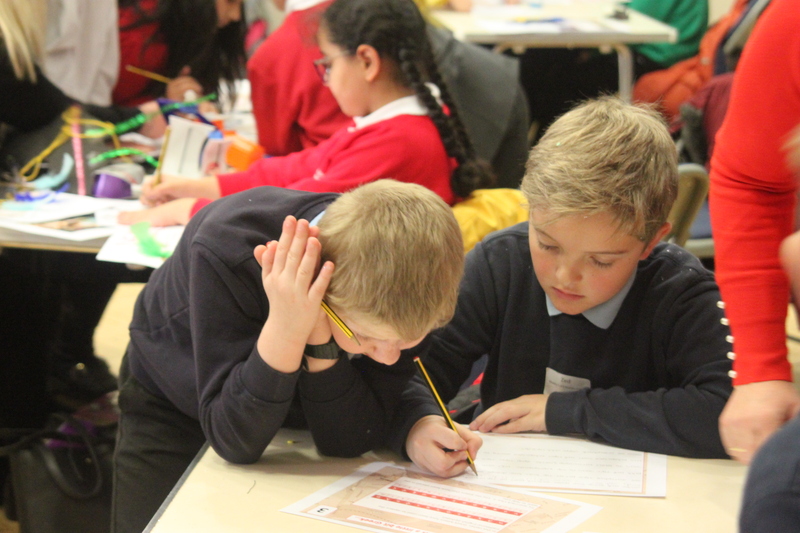 Our final activity saw the room return to maths with some tricky code breaking challenges. Using hint cards and the help of our Year 12 Further Maths helpers, children had fun deciphering letters, numbers and shapes. The afternoon included a trip to Nottingham Theatre Royal’s Peter Pan the Pantomime matinée performance. 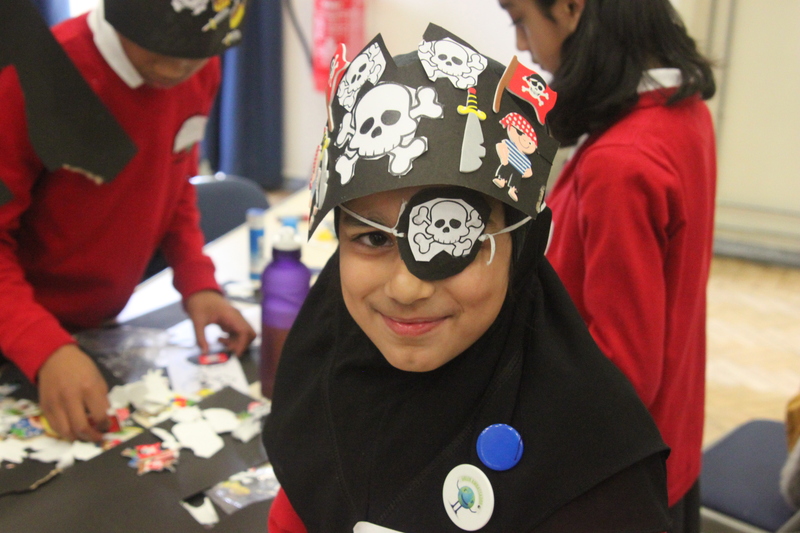 We arrived in style, brandishing our eye patches, hats and treasure chests filled with snacks for the interval. And what a treat we had! – We were blown away by the amazing dances, incredible Tick-Tock crocodile (which had everyone screaming in fright), and especially, the thrill of underwater 3D submarine ride. Children were laughing, screaming, shrieking, and of course, booing and cheering. It was a truly wonderful day and what a lovely way to end a fun-filled year. Key Skills English and Maths was designed to develop key skills in communication and application of number whilst also offering children whom may otherwise not have opportunity to experience live theatre. A full gallery of images from the day can be viewed on our Facebook page here.